Will you be in Athens sometime this week? You’re in luck: This town has become an epicenter for all things art, music, craft beer, and the great outdoors. Whatever you’re into, there’s usually something happening around town to fill your social calendar. Whether it’s soul music from South Africa or board game nights at your favorite local hangouts, here’s what’s going on in Athens this week! The sounds and soul of South Africa are taking over the stage at Hugh Hodgson Concert Hall on Tuesday, January 29. A beautiful blend of gospel music and complex Zulu rhythms and harmonies intertwine to create a powerful musical expression you just have to hear for yourself. Tickets start at $30 and can be purchased at the UGA Performing Arts Center box office or online. Film Screening: “African American Artists and Inventors"
The Georgia Museum of Art is kicking off Black History Month a few days early with a public screening of “African American Artists and Inventor.” This film takes viewers on an inside journey into the minds and souls of some of the most iconic creators in the country that helped to shape our world as we know it. Also, on exhibit at the museum are the works of Richard Hunt, an artist portrayed in the film. You can check out his works before or after the film and gain a new appreciation for his style. This event is free and open to the public. The UGA College of Veterinary Medicine and the Wildlife Resources and Education Network are teaming up to present a free wildlife workshop on Saturday, February 2. Open to the public, visitors will gain helpful information on how to coexist with local wildlife, what to do in an emergency wildlife situation, and how to reunite young wildlife with their parents, among other topics. Though there won’t be any live animal exhibits, this symposium provides an excellent opportunity to learn how to handle local wildlife and protect this precious resource. 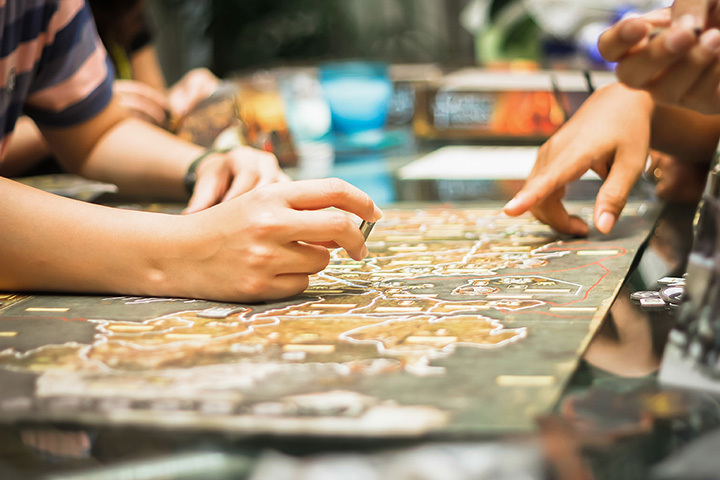 The Rook and Pawn is Athens’ favorite board game cafe, and they’ve got a new game for you! Join them Thursday, January 31, to play Boarding School, a brand-new game that’s way more fun than the real thing. Game passes are just $5 or score one for free when you purchase a beer or cocktail. As always, they have a nifty selection of brews on draught from local Southern Brewing Company, along with a full coffee shop, teas, and light fare like sandwiches and apps. This two-day event is one of the most highly acclaimed events of the month, featuring wine tastings and education for aficionados and beginners alike. More than 100 wines from around the world come together in this unique event, with wine seminars and a gourmet wine dinner to engage attendees. It’s a masterful creation for the senses, offering the chance to indulge your taste buds and gain a newfound appreciation for this classic libation. Tickets are purchased a la carte, depending on whether you want to attend the seminars or simply indulge in a tasting.